I see it this way. I need something to get me from A to B. Why own a crappy $1500 car that needs to be replaced in a few years, when I can own a pretty smooth $1500 bicycle that could potentially outlast me. Why the obsession with size and power over quality and longevity? If you live in a small house, you can pave the floors with gold. If you live in a large home, this is not an option. If you drive a bicycle you can afford to drive the best. Few car drivers can afford to drive the best cars. Now it may be that finely crafted bikes do nothing for you. In that case, just get a free bike on freecycle or get a cheap used bike on craigslist. If you want to indulge yourself, though, these are some very classy looking bikes. I’m sure I forgot some here. Any others? 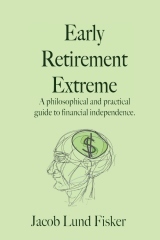 next post: Not enjoying life in extreme early retirement? 32 users responded in " The $1500 bicycle "
we ride < $100 bikes here in India, and few serious bikers at it. I am visiting one of those rare bike shops tomorrow that sell trek bikes here – http://bumsonthesaddle.com – to see some bikes. I am worried about its usage however, it is not easy to ride in Indian city traffic. @Spork – Check out Rivendell’s Bombadil. Oh yeah, very nice…don’t get me started. A little more expensive, and probably worth it…last a lifetime. Here in Geneva (Switzerland)we have a HUGE problem with bikes : they get stolen all the time. This is why I seldom use mine and prefer to take the bus and walk. We all have different priorities in our lives, don’t we? While I cannot fathom paying $1500 for a bicycle, I’d certainly lay that amount out for a new breeding buck, a bull, or even a really good horse. It all comes down to variety being the spice of life I guess! I got the Surly Cross Check a few years back. Best investment I ever made. Tough enough for potholes and dirt tracks, and fast enough to make even very long commutes a pleasure. I even did fully-loaded touring on it, going up and down the French Alps. For the price and versatility, it’s a tough ride to beat. I like the CX myself, it’s similar to the Bianchi San Jose I ride to work every day. These single-speed bikes are efficient only when your terrain is relatively flat, but what a joy to ride! I totally agree. I see a similar situation with cargo bikes — a cargo bike will cost you $1200-3000, which seems expensive, but as a replacement for a car, that’s a pretty good value. Don’t they have bicycle locks in Geneva? I would love to post a picture of my trusty steed, with its rear baskets, front and rear lighting (hub generated front light) and Nokian Hakepellitta carbide studded snow tires, perched high atop a snowbank and locked against a tree trunk. It is a good little beast. I use a hybrid bike that I got custom built from a used nonprofit bike shop for under $500, which included all the accesories- lock, lights, reflectors, rack for placing bike bags on, full repair/inspection/tuning etc. Want a great bike-get bent! As in recumbent. I bought a used Ryan for $400 – I can ride for hours in complete comfort. I use it for all my short errands. “With the recumbent, people are discovering that their bicycle does not have to cause them pain. I will take my Ryan over a $10,000 bike. @Kevin D – I’d love to get a recumbent. The thing that has kept me from getting one is storage space. If you want to indulge you don’t have to buy a new bike. You can spend the same amount on a good new bike as you would spend on a tricked out top of the line used bike. The vintage steel bikes from 20-30 years ago are beautiful. If I’m going to spend a lot of money on a bike, I’d rather have a handmade steel bike with decoratively carved lugs and full campagnolo components. Check out the *nice* vintage bikes on ebay. If you can build up your own bikes and have parts laying around, a Surly LHT or Cross Check frame is a great frame for just $400. @eofelis – I think the “parts laying around” is crucial to the economy of such a project. Component sets without a bike seems to be as expensive as the bike itself. They must be sold at list price. I just cant stop eye gouging at Surly Karate Monkey frame 😉 It’s just so universal- good for offroad, for winter commuting, but it is still 29er, so I could just put slick tires on it and hit road. And so many drive train combinations- single speed or fixie for winter, derailleur and more gears for summer. Just great frame to have fun with. Here in Sydney, I’ve got an electric bike that cost me $2000, and I just bought a second-hand but rarely used $1800 bike for $500 as backup (now used as my primary bike). These are by far the most expensive bikes that I’ve ever owned but they are good investments since I ride 33miles each day and save about $50 per week in petrol or train tickets (as well as 5 hours of commute time compared to going by train, since the stations are far from my work). I also get fit but that’s incidental; what’s not incidental though is that I love the commute, especially as opposed to sitting in a car, jammed in traffic and worrying about getting to work on time. My new bike will have paid itself off in 10 weeks. However, when living in Denmark, London, and Victoria, BC, I preferred simple, sturdy, cheap, and ugly bikes (2nd hand bikes for $75-100), since the commute distances were usually only 2-5miles and I didn’t have to worry about getting my bike stolen. If you buy a $1500 bike you should do something to make it look ubly. Spray paint it silver or neon green including the tires and rims. Even better is to put duct tape on the frame and then spray paint it. Otherwise, it’ll probably get stolen. At least it will be stolen here in the college down where I live. Totally agree with the bike idea. I build new bikes and refurbish old ones for myself and others. I have an LHT for touring (awesome!) and a Soma DC for fast rides. One of my favorites is the early eighties model Trek (800). The entire Trek 800 series were very well built and should last forever if maintained. I paid $40 for this one, added a Brooks saddle, Wald Basket, some inexpensive handlebars, new tires and gave it a tune-up. It is one of the smoothest riding, strongest bikes I’ve ever owned – great for hauling groceries or cruising the boardwalk! I applied that same principle to my scooter. I bought a used Vespa for $1200. I figured if I was going to ride a scooter, I might as well do it in style. surly is really an option – but a little hard to get (here in germany). I prefer handmade frames (one reason is, because I am a bit oversized). 4000$+ are frequently met for those german handmade frames. Warranty is 15 years – I was wondering if those 4000$ bikes fit into “ERE-concepts”. What do you think? You forgot Brompton folding bikes. In that price range, very nice for errands, playing nice with car owners, and surprisingly, travel because it fits in an overhead compartment. Good cargo capacity, someone even made child seat that doesn’t compromise the fold, a steel frame, and a wider wheelbase than my 49cm 80’s Centurion steel touring bike. About $1500 for the non Ti version and maybe the cheap dyno hub. I think someone should budget about 2k for a nice Riv but I haven’t looked seriously into that, still dreaming about my Brompton. Im 36. Lived in many cities in the world. NEVER had a drivers license. Ive prolly saved over 200k by cycling most of my distances. I do have a few 10grand bikes thats for sure. The same bikes I use for commuting and racing, I have also used for touring. One is made of bamboo even. i gotta disagree here. if youre going true ere, you shouldnt be dropping $1500 on a bike. i am sure you could get a used one that will last your lifetime for $500. i also think for $1500, you could get a motorcycle that you could learn to fix yourself and greatly expand your places you routinely go for the small increase in gas to run it. imo, you can make a car last for 40 years if you treat it well, people have done that for years. These are some nice made-in-America bikes.